In conjunction with the Deerfield Tree Inventory project, students from the Conway School of Landscape Design conducted a town-wide ecological assessment, assessing the role of trees in climate change resilience. 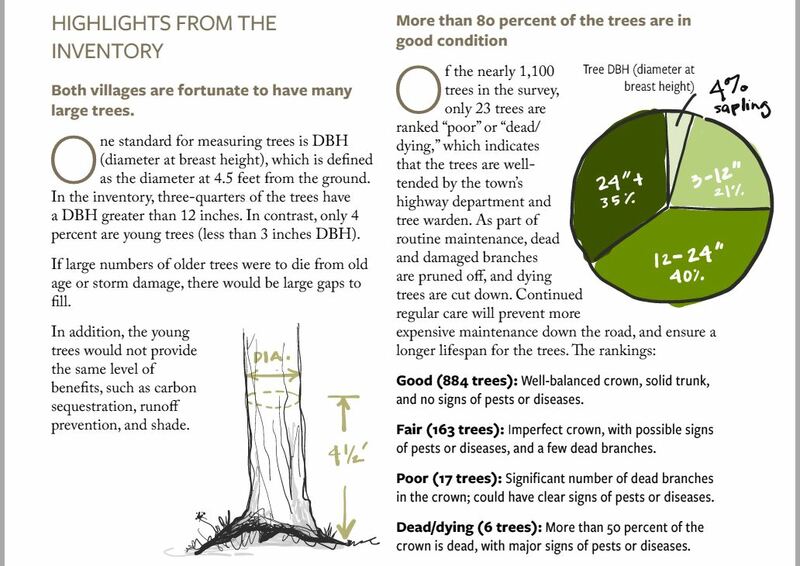 Read Ecological Resilience in Deerfield: Trees As Living Infrastructure. The Deerfield Tree Inventory project was funded by a MA Department of Conservation and Recreation Urban and Community Forestry Challenge Grant. As part of this project, FRCOG planning staff inventoried public trees, analyzed findings and prepared a tree planting and maintenance plan. This project builds upon the 2016 Tree Inventory conducted by the FRCOG and includes data gathered in 2016. The Deerfield Tree Inventory report will be released in June 2018.